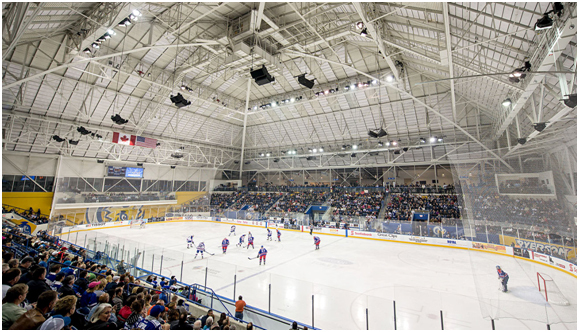 The tournament is once again taking place at Ryerson University’s state of the art Mattamy Athletic Centre Arena – formerly Maple Leaf Gardens. There are escalators and elevator access, the dressing rooms are large, modern and have shower facilities, women will be provided with their own change room with two options – one the referees rooms as well as the family washroom, and there is a storage room for everyone to leave their gear for the duration of the tournament. The hotel is conveniently located directly beside the arena less than 100 meters from the door. The tournament is taking place right in the heart of downtown Toronto, with tons of food and entertainment options. Canadian Blind Hockey will be providing a banquet dinner on Saturday night, and snacks for players including fruits, granola bars, juices and Gatorade will be available in the dressing room hallway throughout the weekend. We are also working with partners to have additional light meals and snacks available throughout the weekend. There are a wide variety of restaurants as well as an impressive grocery store surrounding the hotel and arena, and the concession stands will be open throughout most of the event. On Saturday, March 23, we will be having a banquet in the Alumni Lounge at the arena to celebrate the entire Blind Hockey Community. As has been the case in previous years, it will be a informal banquet with pizza, pasta, salad, soft drinks, and a cash bar with beer and wine available for purchase. 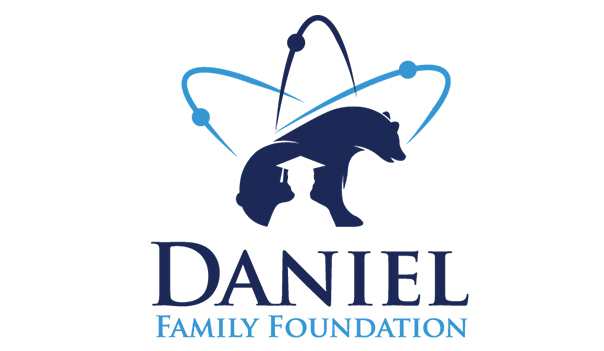 Every player, coach, and key volunteer will receive a ticket included with their registration, there may or may not be additional tickets available for family members – however we will not know until after registration has closed. As is tradition at Canadian Blind Hockey banquets, please wear your home club Blind Hockey jersey to the event and represent your club! There are several players in the Canadian Blind Hockey community who have serious nut allergies, and all of our events are 100% nut free. Unless you are completely sure your snacks are not free we ask that you do not bring anything other than the snacks provided into the arena. We also ask participants to abstain from colognes, perfumes, and any and all other substances that can trigger allergic reactions. Transportation to the Holiday Inn Hotel is the team / player’s responsibility. However we are pleased to announce that we will provide school bus transportation to Pearson Airport at the conclusion of the event departing at 5:15 pm on Sunday March 24. Reservations for the bus to the airport need to be included on the registration forms. Call Air Canada Medical Desk at 1-800-667-4732 and indicate you would like to book an attendant ticket for a visually impaired traveller. You will need to provide the booking reference, CNIB number, and then also a credit card to pay for the taxes. They will then email you your ticket. At the 2018 Canadian Nationals there were an unprecedent number of accidents involving guide dogs at both the arena and the hotel. This is a reminder that while we will be offering guide dog sitting services during your games, guide dog users are responsible for the care of their service animals. The hotel will be charging a $25 cleaning fee for any accidents this year which the owner will be responsible for. All hockey gear including shoulder pads, neck protector and FULL FACE SHIELD (cage, full visor or half-visor-with-cage bottom) with no modifications are mandatory. Please make sure your helmet and visor are CSA approved for ice hockey. REMINDER: It is an automatic two-minute penalty for playing without a neck guard and you will not be permitted to return to play until you have one. Jerseys and socks will be provided for the tournament. Players are responsible for keeping track of and returning their jersey after the event. Any player who loses their jersey will be required to pay a $50 replacement fee. There is most likely no skate sharpening on site. There is a Sport Check which is about half an hour walk, or 5 to 10-minute drive from the rink that offers skate sharpening. We recommend that you sharpen your skates prior to coming to the event! Canadian Blind Hockey is always seeking to raise money to support our Blind Hockey Tournaments and events. The Sponsor and Donor Opportunity package will be circulated next week, if Canadian Blind Hockey is successful in raising funds grants will be available to go back and support the teams, so any assistance in sharing the package is greatly appreciated. Canadian Blind Hockey relies on our tremendous network of volunteers in order to execute all our events. The Canadian National Blind Hockey Tournament is our biggest event and requires our most volunteers. If you would like to volunteer, please email Matt Morrow and include your availability throughout the weekend. Canadian Blind Hockey and our presenting partner AMI – Accessible Media Inc. will be providing a high quality live-streaming web broadcast of all tournament games, complete with play-by-play, commentary, and interviews for all friends and families back home. During all games the alumni lounge will be open to all the players and will feature the live web broadcast on a large screen including the audio play-by-play for those who want to follow along. Nothing but positive reviews from everyone involved! Canadian Blind Hockey reserves the right to remove any individuals from the tournament whose behaviour is found to be contradictory to these guidelines. Final say lies with the Tournament Director.